Aw, you’re too smart! If you guessed it’s the hole where the old TV was installed, you are exactly right. 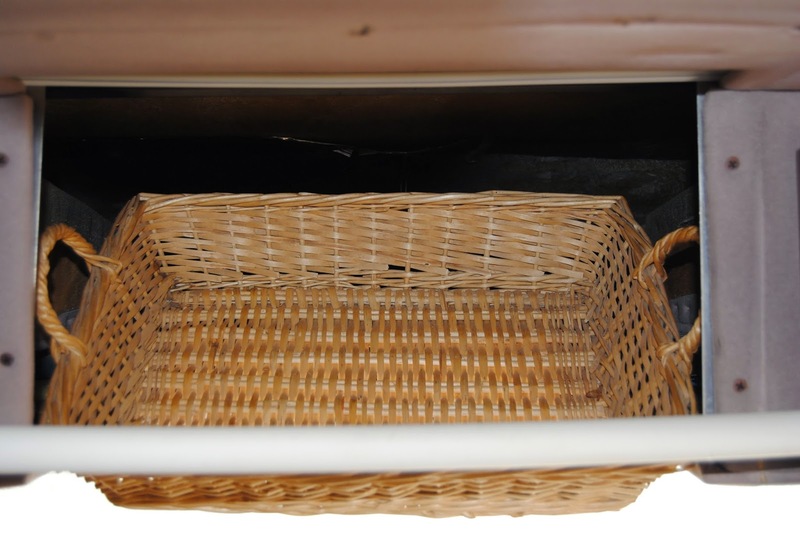 I am not sure this will be a permanent installation of this basket, but it’s staying there for now. And I didn’t want it to look all temporary forever so I sewed up a little curtain to cover the hole and it’s resident basket. 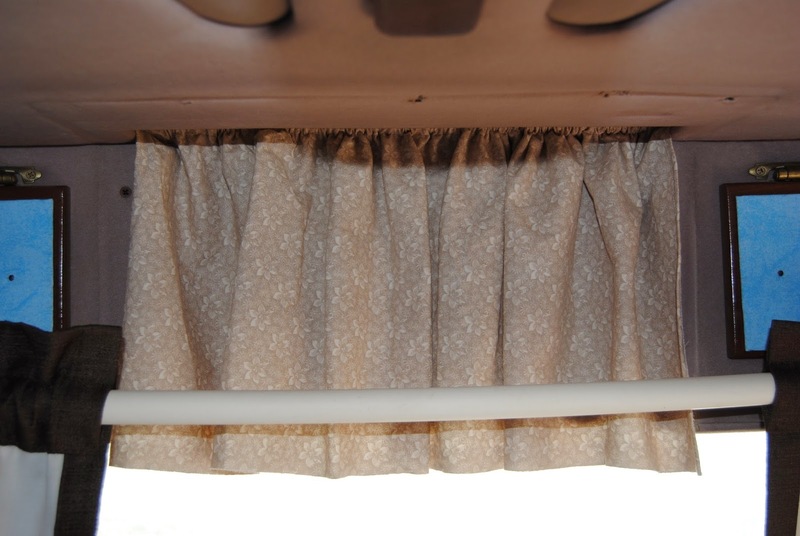 The curtain rod is just resting on the wood frame inside the hole. So that’s it for this little project. Have a great week! Thanks for stopping by Two Dogs!